Creative Mind Works picks up 5 BASF Awards! - Creative Mindworks, a Miami Florida based internationally ranked integrated marketing and advertising firm, solutions driven and Thinking Fresh Daily! Creative Mind Works picks up 5 BASF Awards! 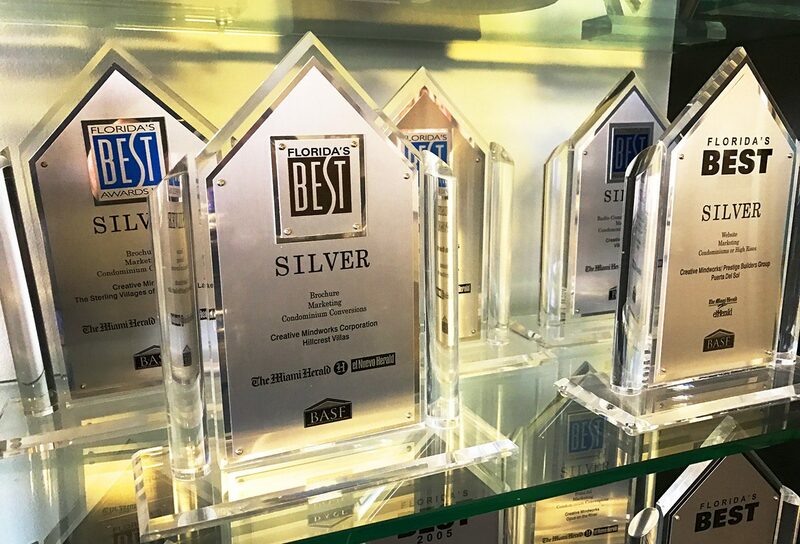 Creative Mindworks has received five awards at the 2016 Builders Association of South Florida (BASF) Florida’s BEST Awards. The prestigious award show is a celebration of the best in property development, construction, architecture and interior design. The event is attended by leading real estate companies such as The Related Group, Prestige Companies BTI Developers and Fortune International Realty. The November 5 gala event was held at Jungle Island in Miami and featured a dinner and award ceremony. CME received the awards for their work for The Grove Resort & Spa and for the Builder’s Association of South Florida. Members of the Creative Mindworks team were on hand as representatives of the agency. https://creativemindworks.com/wp-content/uploads/2018/01/IMG_5265.jpg 1020 1500 Phillip Gallego https://creativemindworks.com/wp-content/uploads/2018/01/CMW-2016-LOGO-1.png Phillip Gallego2018-01-25 15:14:272018-01-25 16:08:06Creative Mind Works picks up 5 BASF Awards!